Sport Thoma Demo Day Today! Sport Thoma will be hosting their first demo day of the season today! If you've been eye-balling the latest goods but aren't quite sure what you'd like to buy, this is the perfect opportunity to come out and try before you buy. Sporting brands like Rossignol, Blizzard, K2, and more, they're certain to have something for everyone. Make sure the holiday gift you've been thinking about for yourself is the one you're going to love! Are you still looking for New Year's Even plans? Why not come celebrate with Ragged?! From 6:00 - 10:00 PM, we'll be hosting our annual New Year's Eve Bash, complete with live music by Alex Anthony Music, dinner service, fireworks, and a Tap Takeover with Longtrail Brewing. Tickets for adults are just $54, and tickets for children 12 and under are $29. Click here for full dinner menu and event details. Why not come up and celebrate with Ragged Mountain! From 6:00 - 10:00 PM, we'll be hosting our annual New Year's Eve Bash, complete with live music by Alex Anthony Music, dinner service, fireworks, and a Tap Takeover with Longtrail Brewing. Tickets for adults are just $54, and tickets for children 12 and under are $29. Click here for full dinner menu and event details. It's Christmas, and regardless of whether or not you found yourself on Santa's naughty or nice list, we've got plenty of great skiing and riding for all. Be sure to stop by today and make some turns with us to celebrate this season. From our family to yours, Ragged Mountain Resort wishes you the happiest of holidays! Due to some icing and high winds, both summit lifts will remain closed today. We will be running the Barnyard Triple and both Carpets. Well, Mother Nature seems to be up to some of her old tricks and has decided to throw us a curve ball today bringing us the wrong four letter word. However, looking ahead just a few days and temps return to normal levels allowing us to crank up the snowmaking guns once again. We will be set up for normal operations this morning and plan to remain that way. We will make updates throughout the day as conditions may change. SHOWBOAT!!! That’s right; you can drop in on your favorite trail today and showoff for everyone on the Spear Quad! The Groomers worked hard last night and were able to finish pushing out the massive piles of snow, giving us a great treat before the weekend. Plus the temps are climbing back up again today and the sun will be shining brightly, so get out there and enjoy what should be an amazing day on the slopes! 2 Inches To Help Refresh! A nice little refresh was granted to us last night by Mother Nature, who dropped a new 2” of snow across Ragged. The temps will also drop tonight allowing Snowmaking to pick back up and spread some more across the lower portions of Ragged. The plan right now is to do some resurface work on Ragged Peak providing a bit more coverage to Newfound and Village Green. They will also be working to connect the dots by finishing off Lower Chutte, and adding Pines, Sunnyside, and Upper Crew Cut. This, along with pushing out Showboat and Showoff, will certainly make for another great weekend of skiing ahead of us! Happy Sunday - A Great Week Ahead! Looking ahead this week we’ve got a bit of snow in the forecast, plus some cold temps return. Looks like the snowmakers will get the chance to fire the guns back up with the goal of connecting a few dots on Ragged Peak. The team is looking at Pines, Upper Crew Cut, finishing Lower Chutte, and Sunnyside. Plus the groomers will be working this week to push out Showboat with the goal of having that open for next weekend! Snowmaking continues to produce at high levels this week, and is currently rocking it on Showboat and Showoff. The Groomers were out yesterday pushing Cardigan and will continue today to work the big piles of snow getting it ready for some fun runs this coming weekend. Make your plans now for Saturday and join us for our Holiday Party. To learn more about our holiday party on December 15th, click HERE. Join us for Breakfast with Santa at the New Hampshire Mountain Inn from 9am to 1pm, and then at the mountain for a holiday party featuring great music from The Just Because Band, Holiday inspired drinks and meals in the Birches Mountain Restaurant, and our annual tree lighting ceremony at 5pm right in the base area. The cold temps keep blessing us with tremendous snowmaking weather. Production over the past 48 hours has been amazing, allowing for the Snowmakers to shift focus from Cardigan over to Showboat. Things look good for Spear Peak to be open this weekend. We will continue to update as the week progresses. More Terrain Opening This Weekend!!! WOW!!! What a few days of cold means here at Ragged is tons of great production from the Snowmaking team. They’ve been at it around the clock since Monday night and the piles are really starting to build across Ragged Peak and in the Barnyard area. This team is a group of unsung early season heroes. If you see one, throw them a thank you, give them a high five, and let them know how much their hard work means to you. This weekend it looks like we will be skiing and riding on Upper Ridge, Headwall, Lower Chute, and Barnyard because of this team’s hard work. And that means that the snowmakers are out there earning their keep! With last nights shift in temperature the snowmaking system roared back to life with a focus to increase man-made coverage by this weekend. Currently the goal is to see Lower Ridge, Upper Ridge, Headwall, and Barnyard open providing more terrain for all guests! This new cold front came with a price though as the warm temps melted some of our natural snow pack. Patrol has closed all natural terrain due to the freeze thaw cycle it saw in the past 24 hours. If you were joined us this past weekend, we hope you made your way into the Stone Hearth Bar were we've increased some of our great food and beer offerings. If not, go grab lunch and try one of the tasty flat breads in Stone Hearth. Try the Snowmaker (in honor of the cold temps and hard work being done!) and pair it with a Ragged Red from the Flying Goose Brewery... So Good! Monday, Monday - a 'Spring Like' Day! Yesterday’s mixed precipitation had less of an impact on conditions than we anticipated allowing us to maintain the same trail count as we started with of 28 trails. With today’s forecast of sunny skies and warmer temps, it will be a beautiful day for getting a few runs in! As the temperature begins to drop towards the end of today, our mountain operations team will be firing back up the guns with the goal of increased terrain open for this coming weekend. Keep an eye on the SLOPE REPORT for the most up to date info. Bam, and just like that we're open for what looks to be a killer first day at Ragged Mountain. 29 trails will be open today. YES, 29 trails. Come Get It!!! Check out our Slope Report for complete details. Our Mountain Ops Team of snowmakers, groomers, and ski patrol have been working hard this week getting our man-made snow ready and evaluating all our natural terrain that has been blanketed by Mother Nature. Here's what to know about conditions. We are very excited to be able to open this much terrain today, and just ask that you take a steady and cautious approach. Remember to get your skiing and snowboarding legs back, it is just day one. Can't wait to see you all lined up and ready to go for first chair at 10am!!! Thankful To Be Opening Earlier Than Projected!!! GREAT NEWS! We're opening this Friday! After one of the coldest Thanksgivings in a long time, the snowmaking production at Ragged has been tremendous! The crew has been working tirelessly throughout the holiday to build a base for our opening day. So on this holiday weekend, we're saying THANK YOU to all the Snowmakers and the Mountain Ops team at Ragged. Hope to see you on opening day! First chair is at 10am, Friday, November 30th. With all this fresh snow that has fallen we are getting psyched for opening day, which we're sure all of you are too! As of today, November 19th, our plan is to open Saturday, December 1st. This is of course weather permitting, so keep on doing those snow dances!!! As a reminder, we are open everyday (closed for Thanksgiving) from 9 am to 2 pm for Pass Pick-Up in the Elmwood Lodge. MISSION: FOUR’DABLE, Four Non-Restricted Tickets for Just $169! Ragged Mountain has been constantly redefining value for skiers and riders with MISSION: AFFORDABLE. Last year we introduced MISSION: FOUR’DABLE, and this year we’ve made it event better! For a limited time you can grab 4 non-restricted tickets for only $169. Will hand you 4 one-time use RFID disposable tickets that you can use all for yourself, or bring along your favorite ski buddies and make a day of it. • Get the MISSION: FOUR’DABLE Quad Pack for only $169 until November 22nd, 2018. BUY YOUR QUAD PACK TODAY HERE! In another installment of “What do you guys do all summer”! These past few weeks have been quite active here with work on the lifts. As we’ve previously mentioned each lift has 20% of the chairs removed for the grips to be serviced and rebuilt. Well part of that process includes a NDT or Nondestructive Testing process. This process, which was conducted by Aerial NDT out of Milton, NH, looks for failure points not visible to the human eye in the materials used on the lift. Using ultraviolet lights, magnets, magnaflux solutions, and ultrasounds, the team is able to find any cracks or stress points that could cause a failure. If these are found, the part is placed into retirement and a new part takes its place. The following photos show the process in practice here at Ragged. Fortunately, no parts were found to have any failures or stresses and we passed our NDT with flying colors. There is a photo of a cracked axle that Aerial NDT brought with them to show how the ultraviolet light and magnaflux solution works to highlight parts that would need to be replaced. There are also a few photos of our lift parts in the wet magnaflux bath, ultrasound testing, and using a high powered, hand-held magnet and dry magnaflux powder. As she sat, enjoying her Tuckerman’s Pale Ale, Bebe Wood had little clue as to why she was asked to attend the annual Ski New Hampshire conference. But to her surprise she was there to be honored with this year’s Lifetime Achievement Award. Her surprise was shared by all as her loud gasp, upon learning that she was this year’s recipient, was followed by cheers of a crowd who in some way, shape, or form, had all been touched by Bebe and her dedication to sharing our wonderful sport with as many people as possible. As Ryan Schramm explained in his presentation of the award “Bebe is a true Ski Bum”, having spent her entire life enjoying the sport. Growing up in Marblehead, MA, Bebe and her siblings taught themselves how to ski at a nearby golf course. By the late 30’s she and her sister were making trips to Cranmore, NH and within the next decade Bebe would become a pioneer of the growing counter culture of the “ski bum”. In 1950 Bebe, living in Sun Valley, Idaho was featured as one of the models for a skiing article that ran in a February issue of Life Magazine. In the early 60’s she and her husband moved to Bristol, NH where they introduced their children to the joys of skiing. 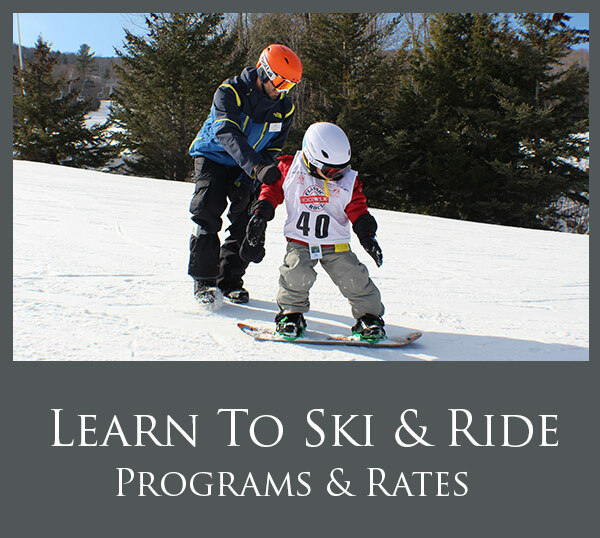 In 1965, when Ragged Mountain Resort opened, Bebe was a natural fit as the Director of the Junior Program designed to introduce local school children to the sport. Bebe served as the head of the Courtesy Patrol through the new millennium until her retirement. 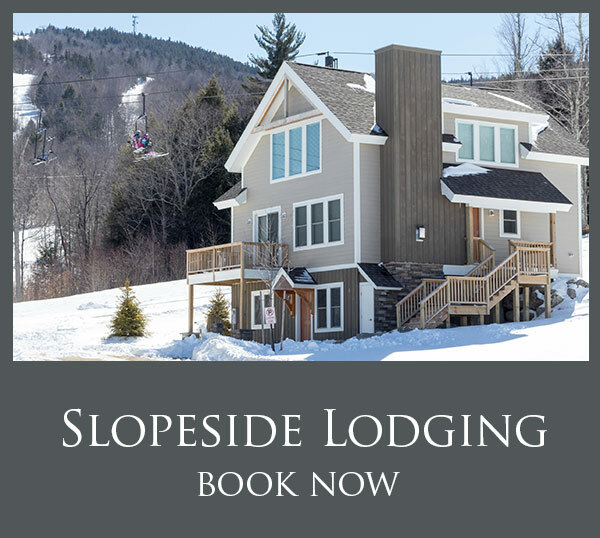 Today she is still an active member of the Ragged Mountain Resort community as a host on the weekends. Skiers and Riders from all ages and all areas are greeted warmly with a smile and sometimes a hug as they enter the Elmwood Lodge. A wealth of knowledge both of the mountain and of the industry, Bebe enjoys her role as the mountain’s ambassador of the newly formed Bebe Wood Free Learn to Ski & Ride Program. Named in her honor as a testament to her desire to introduce new folks to this wonderful sport, the Bebe Wood Program has introduced over 2000 people to skiing and riding, completely free of charge, in its first two years of operation. We are so happy to congratulate Bebe on her award, and couldn’t think of a more fitting person to be recognized as the 2018 Ski NH Lifetime Achievement Award Recipient. Thanks to Joan Wallen and SeniorsSkiing.com for the use of information contained within this overview. Did You #GETRAGGED This Season?! We're holding an end of season contest featuring your best photos and videos! To enter, all you need to do is share your best Photos or Videos taken at Ragged Mountain Resort during the 2017/18 Winter Season – We want to see families having fun, vistas and landscapes, action shots, glades, groomers, jumps, rails, apres, and more, but be sure to keep them clean and family friendly! Photos and Videos can be either submitted to Facebook or Instagram and must be tagged Ragged Mountain Resort (Facebook) or @raggedmtn (Instagram). Additionally, in the description you must use both hashtags #getragged and #iwantaraggedpass, and you must tag at least two friends that you can’t wait to ski or ride Ragged with next season. The best entry (as voted on by a group of Ragged Mountain employees) will win a free Season Pass for the 2018/19 season! We will also select a runner up and honorable mention who both will win a prize pack from Ragged Mountain, including a Ragged Mountain Hoodie, Mug, Sticker Pack, and other swag items. Be sure to read the full rules and regulations before entering! Once again, thank you all for such a great season. It was a great one! We are now closed for season. As a friendly reminder, there is no uphill skiing, hiking, or sledding allowed while the mountain is closed. There are several pieces of heavy machinery on hill at all times of the day, unstable surface, and other equipment that can cause hazardous conditions. Please stay off the hill. Have a great summer and we'll see you next year! Happy Easter, & Thanks For A Great Season! Well, we've come to the end of another great season. We've shared some great skiing and snowboarding this winter, we've also seen some amazingly cold temps and absurdly warm temps (70 degrees in Feb... come on). We've had major storms that dropped tons of snow and opened up our best terrain. We had great events like yesterday's Pond Skim (thanks to everyone who came out). Great races hosted by the RMST, and great park events from our Terrain Parks Crew. There was good food and some really fun Tap Takeovers in the Stone Hearth. But most importantly, we want to thank you for joining us this season and helping to make Ragged Mountain one of the most enjoyable places to be. It's because of you that our community is so strong. And finally, congrats to all the Bebe Wood Graduates; welcome to our family! Today looks to be the perfect ending for the 2017/18 season. Temps will be in the high 40's and it will be mostly sunny. As it is Easter, the Ski Patrol lent a hand to our friend the Easter Bunny and have hidden eggs around the ski area. Make sure while you are out on the mountain today you keep an eye out for eggs filled with sweet treats. Happy Easter everyone. 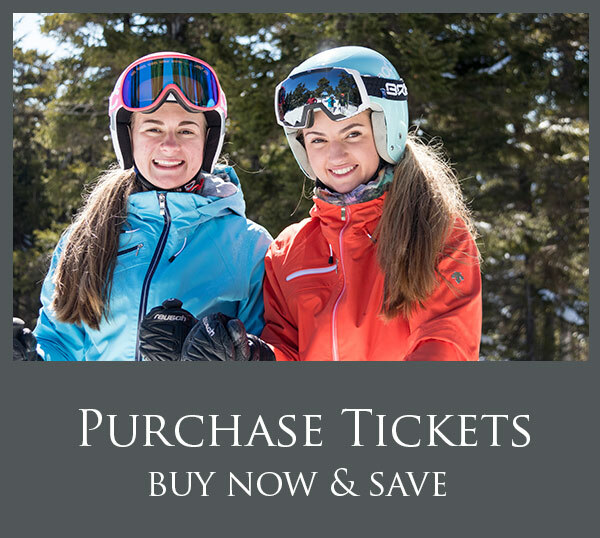 One final reminder that today is the last day to purchase your 2018/19 MISSION: AFFORDABLE Season Pass at only $259. Tomorrow the price increases to $289. This may be our last weekend of the season, but we're going out with a bang! Make sure to grab your 2018/19 MISSION: AFFORDABLE Season Pass today so you don't miss a single day next year, and you can join us for a fun filled last couple of days of this season (for free). Today, join us for our annual Spring Fling and Pond Skim contest. Come dressed to impress at our Pond Skim and see if you can make it across our pond. Winners not only get bragging rights, but also great prizes from NEMO Equipment, Highland Mountain Bike Park, Hidden Collective, and Ragged Mountain (including a Season Pass). The Party will be amazing all day long with a BBQ and a Long Trail Promo on The Brix, plus live music from NH's Reggae Band - SUPERNOTHING. We wrap up the 2017/18 season on our last day, Easter Sunday, with a family fun Easter Egg Hunt. Ski Patrol will be assisting the Easter Bunny by hiding some eggs all across the mountain. Work together to find these hidden eggs filled with all kinds of yummy treats. There will be no rules, just eggs hidden around the mountain. How many can you find? The final countdown has begun. We enter into the final weekend of the 2017/18 season with a bunch of fun activities and events for everyone to partake in. That's the Ragged way! It looks like we will have a little bit of precipitation early this morning, but clearing up by 10 am with clouds beginning to part by noon. Temps will stay in the upper 40's low 50's. This weekend looks to be a beautiful one, perfect for our Spring Fling and Pond Skim even tomorrow, and then our Easter Egg Hunt on Sunday. Saturday, join us for our annual Spring Fling and Pond Skim. Come dressed to impress at our Pond Skim and see if you can make it across our pond. Winners not only get bragging rights, but also great prizes from NEMO Equipment, Highland Mountain Bike Park, Hidden Collective, and Ragged Mountain (including a Season Pass). The Party will be amazing all day long with a BBQ and a Long Trail Promo on The Brix, plus live music from NH's Reggae Band - SUPERNOTHING. Sunday we wrap up the 2017/18 season with a family fun Easter Egg Hunt. Ski Patrol will be assisting the Easter Bunny by hiding some eggs all across the mountain. Work together to find these hidden eggs filled with all kinds of yummy treats.